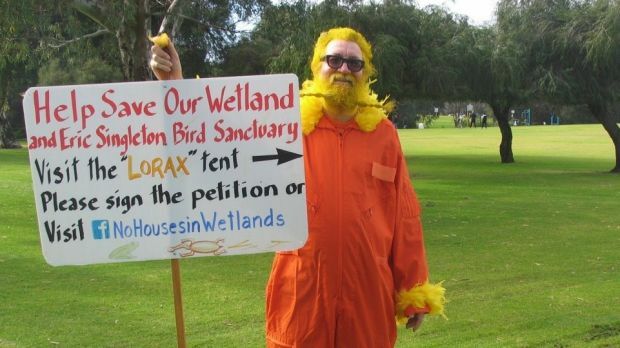 $3 million saves one Perth wetland – but what about the rest? The state forking out $1.5 million will help Bayswater council double its money and save ‘Carter’s Lot’, but activists say many other vital urban wetlands are exposed to developers because of an archaic classification system. Despite vocal disagreement from some of Perth’s most prominent scientists who rated its ecological significance highly, ‘Carter’s’ wetland management category was as low as they go. Environmental organisations, local MP Lisa Baker and Bayswater councillors joined the community in a nine-month campaign against a large housing subdivision planned for the site. They carried out protests outside Parliament and Ministerial offices, fundraisers, petitions and letter-writing drives, convinced development would not only devastate Carter’s but also lay waste to the millions in state and local government funds spent on restoring the adjacent Eric Singleton Bird Sanctuary. During the campaign, documents released under Freedom of Information showed planning approvals were issued and clearing began based on half-complete environmental reports. Planning Minister Rita Saffioti announced this week funding to honour her election commitment, to match Bayswater’s bid to buy back the land from private ownership.